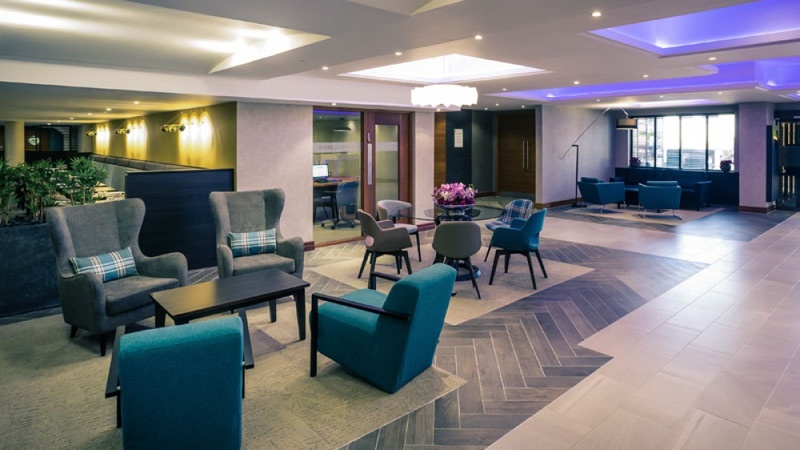 The existing 182 bedroom, 3-star property has been upgraded and re-branded to create a 4-star Mercure hotel with a complete refurbishment of all bedrooms and public areas, together with a new entrance canopy and external works to create an improved sense of arrival. 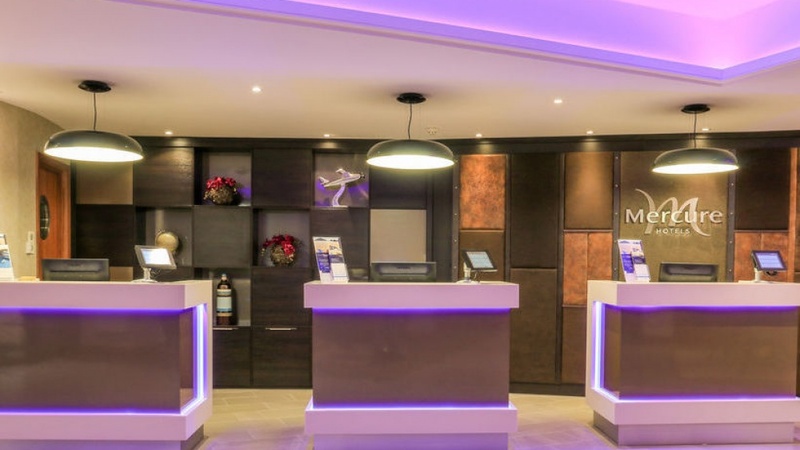 The client’s brief was for the upgrade and re-brand to a 4-star Mercure hotel, with scope to enhance the external look and feel of the building to match the upgraded quality throughout the hotel. 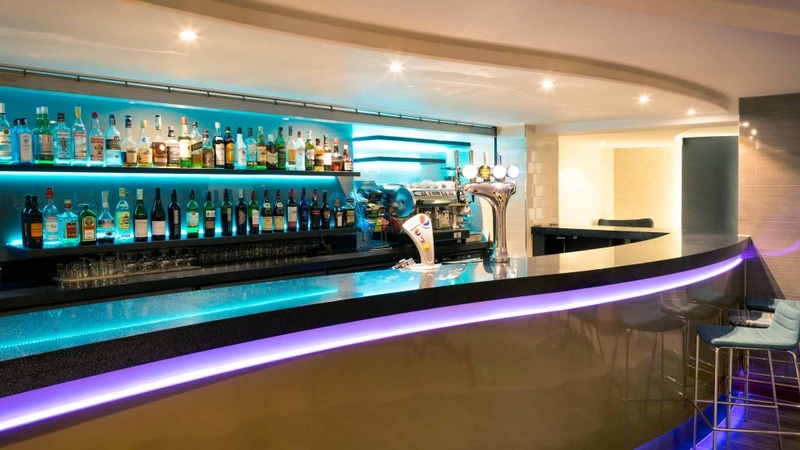 The works included a complete refurbishment of all bedrooms and pubic areas, together with extensive external treatments including cladding of the external walls and construction of a new entrance canopy. The external works treatments were empathetic, yet suitably modernised to uplift and improve the overall look of the building. 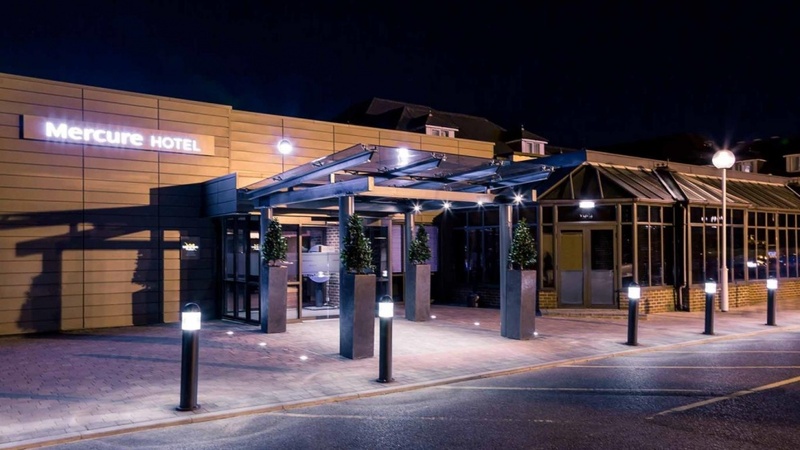 A strong, dominant canopy structure with strategic lighting design, along with subtle changes in surface finishes, all function as a permanent entrance reference point and a tempting invitation into the building. 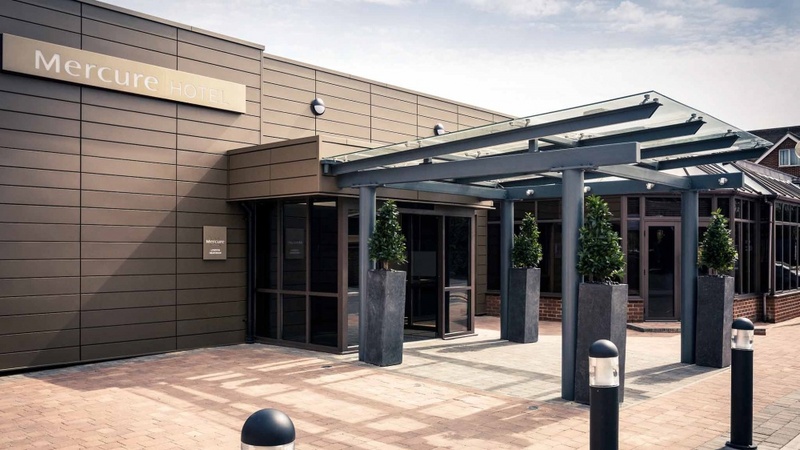 The existing external walls were clad with a smooth aluminium system in a simple rectangular grid to maintain the sleek look and the subtle uniformity against the striking new canopy.